As the primary surgeon involved in Mary Jo Buttafuoco’s miraculous facial reanimation surgery following a devastating gunshot wound to the face, Dr. Azizzadeh was a featured guest on The Oprah Winfrey Show. 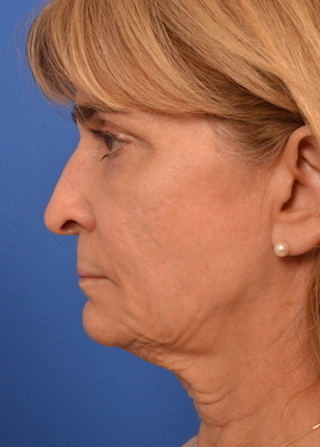 This surgery involved a facelift and eyelift along with static facial suspension to restore static and dynamic symmetry to her smile and facial expressions. Dr. Azizzadeh was awarded the honor of serving as co-chairman of the 13th International Facial Nerve Symposium. 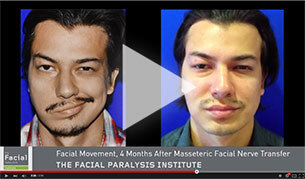 Having facial paralysis or Bell’s palsy is one of the most challenging experiences an individual can go through. At the Facial Paralysis Institute our mission is to help you or your loved one regain self-confidence and improve quality of life. Our goal is always to create the most natural smile possible through innovative non-invasive and surgical approaches. We deeply care about our patients and their ability to live life to the fullest. We look forward to taking care of you! 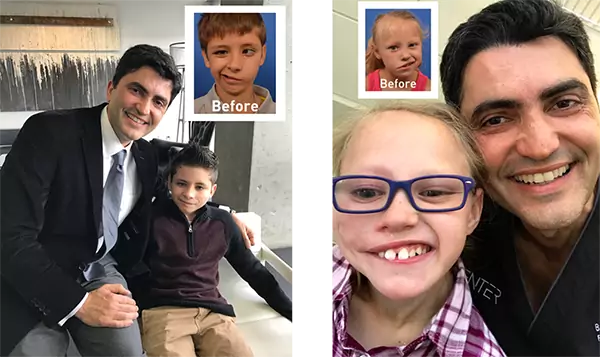 Babak Azizzadeh, MD, FACS, is a world-renowned Facial Plastic & Reconstructive Surgeon who is deeply committed to the treatment of individuals with facial paralysis and Bell’s palsy. He is board-certified by the American Board of Facial Plastic & Reconstructive Surgery and the American Board of Otolaryngology-Head & Neck Surgery. This detailed knowledge of facial aesthetics and underlying facial anatomy has made him one of the most sought-after facial paralysis surgeons in the world. As such, he has been featured in The New York Times, the Oprah Winfrey Show, People magazine, Discovery Health, and The Doctors television show, among others, for his distinct expertise in the field. After graduating from David Geffen School of Medicine at UCLA at the top of his class, Dr. Azizzadeh completed a six-year residency program in Head & Neck Surgery at UCLA. He then completed a sub-specialized fellowship in Facial Plastic & Reconstructive Surgery at Harvard Medical School with special emphasis on the facial nerve and facial reanimation. This prestigious fellowship position was available to only one surgeon in the United States. After serving as a Clinical Instructor at Harvard Medical School, Dr. Azizzadeh returned to California and became an Assistant Clinical Professor of Surgery at UCLA and an attending facial plastic surgeon at Cedars-Sinai Medical Center. Today, he is the co-director of the facial plastic & reconstructive surgery fellowship program at Keck School of Medicine at USC and co-chairman of Cedars-Sinai’s annual Advances in Multispecialty Aesthetic and Reconstructive Surgery Symposium. Furthermore, he has been appointed chairman of the 13th International Facial Nerve Symposium in 2017 in Los Angeles. 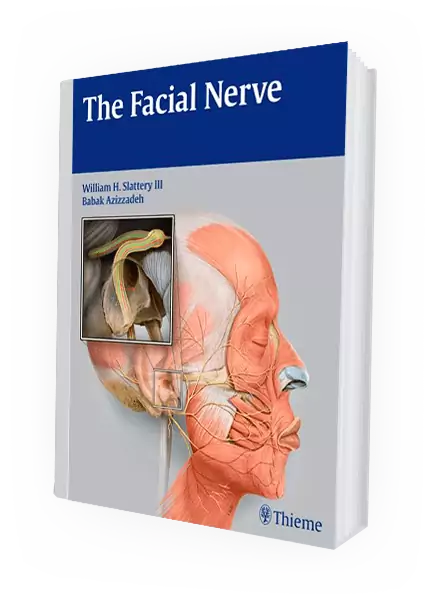 The author of five best selling medical textbooks, including the preeminent book in the field “The Facial Nerve,” as well as hundreds of peer-reviewed articles, Dr. Azizzadeh’s expertise in facial reanimation surgery has made him one of the most trusted physicians world-wide. The Facial Paralysis Institute is internationally renowned for our advanced techniques in the treatment of facial nerve disorders. Our primary objective is to provide cutting-edge treatments in a warm and compassionate environment. The most important treatment objective for individuals with facial paralysis is the prevention of unwanted eye complications, reconstruction of facial movement, restoration of a dynamic smile, and improvement of facial aesthetics. That is why we have assembled a team of leading specialists, including facial plastic & reconstructive surgeons, oculoplastic surgeons, head & neck surgeons, neuro-otologists, and physical therapists, to address all of these needs. This truly multidisciplinary approach to facial palsy treatment allows us to successfully restore facial movement for patients with facial paralysis. Bell’s palsy is a disorder of the nerve that controls movement of the muscles in the face, paralyzing facial expression functions. 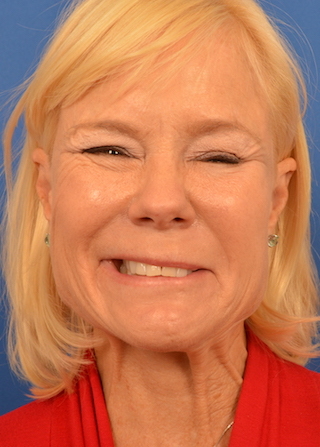 Synkinesis is the development of linked or unwanted facial movements that can occur after abnormal facial nerve regeneration associated with facial palsy. Acoustic neuroma is a benign tumor that develops on the main nerve leading from the inner ear to the brain. Removal of the tumor can cause facial paralysis. Facial paralysis is the loss of the ability to move one side of the face due to damage of the facial nerve. Common causes include Bell’s palsy, trauma, tumor, or stroke. Botox is one of the most effective treatments for patients with Bell’s palsy, partial facial paralysis and synkinesis, providing both functional and aesthetic results. Selective neurolysis is the most cutting edge treatment for patients who cannot generate an appropriate smile with partial facial paralysis and synkinesis. A transplanted muscle from the groin (gracilis muscle) can help restore natural and spontaneous facial movements. Nerve transplants give patients the ability to utilize the facial nerve in the unimpaired side of the face to “drive” the facial movement in the paralyzed side. your smile is the most important. 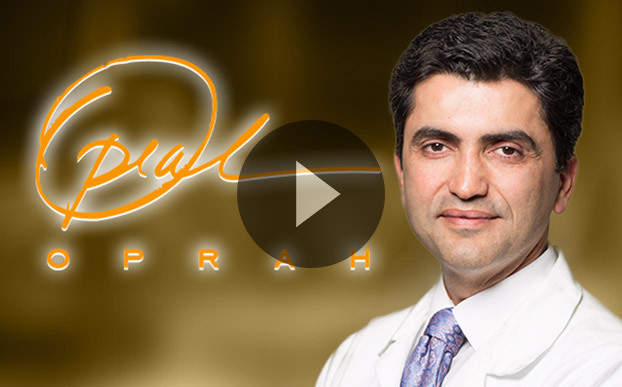 As the primary surgeon involved in Mary Jo Buttafuoco’s miraculous facial reanimation surgery following a devastating gunshot wound to the face, Dr. Azizzadeh was a featured guest on The Oprah Winfrey Show. He is the only facial nerve specialist to be featured on the show. 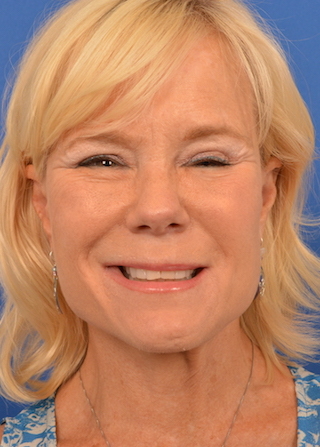 Dr. Azizzadeh explained his cutting-edge surgical techniques, which combined a facelift and eye lift along with static facial suspension to restore static and dynamic symmetry to Mary Jo’s smile and facial expressions. The Facial Paralysis Institute is the premier center for the treatment of facial nerve disorders including facial paralysis, Bell’s palsy, hemifacial spasm, acoustic neuroma, parotid tumors and birth defects, to name a few. 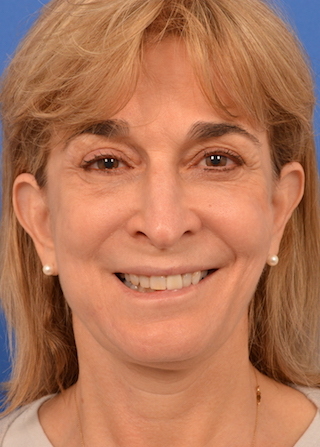 The Institute is comprised of world-renowned experts from various specialties who are singularly focused on facial nerve disorders, including facial plastic surgeons, neuro-otologists, physical therapists, head and neck surgeons, radiologists, neurosurgeons and psychologists, to ensure patients receive the best treatment modern medicine has to offer. Facial paralysis occurs when there is a loss of voluntary movement in the muscles of one or both sides of the face due to abnormal function of the facial nerves. 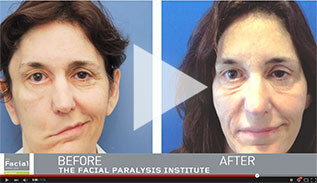 This paralysis can be complete or partial, affecting only certain regions of the face. While some facial paralysis symptoms are temporary, improving over time, others are permanent, dependent upon the underlying condition. The consequences of facial paralysis can be devastating, depending on the level of nerve impairment. Physical symptoms can include partial to complete loss of facial movement and expression, lack of eye closure, problems with eating and speaking, and loss of sensation. In addition, the emotional and social effects of this condition can be just as traumatic. The inability to express emotions and communicate with others through facial expressions can cause much emotional distress to those affected. Bell’s palsy is the most common type of facial paralysis. The term applies to any type of facial paralysis that does not have any other associated causes such as tumors, trauma, and salivary gland inflammation. In nearly 85% of all cases, Bell’s palsy is not permanent and clears up completely after a course of medication over the following months. The remaining 15% of patients either experience moderate improvement with synkinesis and partial facial weakness or permanent paralysis. 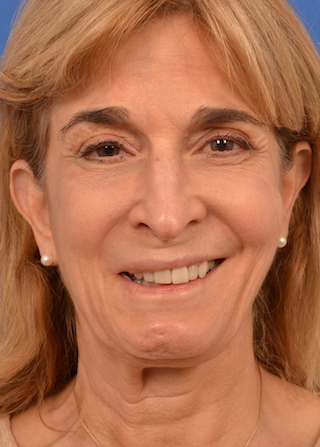 In these cases, cutting-edge surgical smile reanimation procedures at The Facial Paralysis Institute can be used to restore movement to the face. 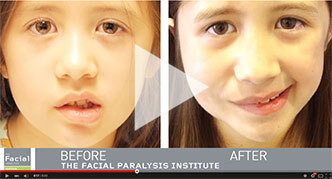 Facial paralysis and Bell’s palsy are complex conditions. 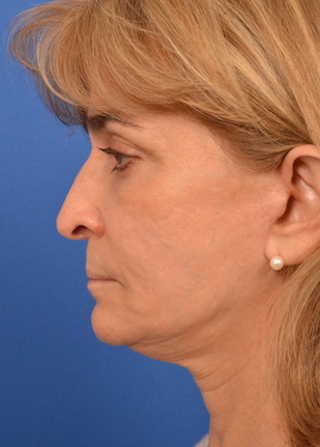 Extensive training and experience is required to perform intricate, multi-stage facial nerve surgeries. That is why we have put together a team of facial nerve injury experts, making us the leading center for facial paralysis and Bell’s palsy treatment and repair. Highly respected by peers and patients alike, The Institute has some of the highest success rates in the nation for the treatment of Bell’s palsy and facial paralysis. Dr. Azizzadeh founded The Facial Paralysis & Bell’s Palsy Foundation in 2009, with the goal to provide a network of information, education, and support to persons of all ages who are dealing with Bell’s palsy and permanent facial paralysis. The Foundation is also dedicated to funding and supporting ongoing research projects to find and advance new treatments for facial paralysis. In addition, we seek to educate medical professionals on the latest developments within the facial paralysis community. 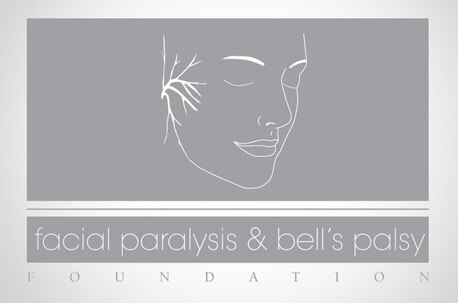 To learn more about the Facial Paralysis & Bell’s Palsy Foundation visit www.FacialParalysisFoundation.org. Facial Paralysis Institute in Beverly Hills specializes in facial nerve paralysis treatment options that are custom-designed for each individual patient. To learn more about five of the primary methods in which our experts help patients find relief from facial paralysis, please click below. Nerve transplants are one of the many cutting-edge procedures performed at the Facial Paralysis Institute in Beverly Hills. They provide hope for patients who have suffered from long-term facial paralysis and do not know of any methods that can help them regain facial movement.